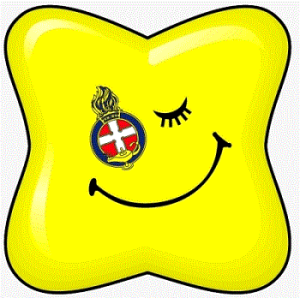 Girls’ Brigade meets every Friday evening and all girls from the age of 3 will be made most welcome! So whether girls enjoy burning off some steam after a hectic week at school by playing volleyball or uni-hoc, prefer to chill out on a Friday night with a bit of relaxed jewelry making and a cup of hot chocolate, relish learning a new skill such as car maintenance, love to do their Mary Berry thing in the kitchen, or simply like to have opportunities to help others, they’re sure to find something at GB they will really enjoy, while making good friends and having fun with other girls! Above all, GB is a Christ-centred organisation, where we want every girl to know that they are valued. Girls face so many challenges in today’s world and the pressure they experience to be successful, popular, and pretty, to name but a few, puts an inevitable strain on their self-esteem. It is our aim that girls will meet Jesus and discover that through having a relationship with Him, they can be complete in Him, that they are precious and accepted just as they are and through Him they will grow up to have really fulfilling, satisfying and useful lives! So it is a priority for us each night to spend time learning about Jesus and His ways. For the young Explorers and Juniors this will involve a Bible story followed by an activity or puzzle, while Seniors and Brigaders often like to discuss what they’re learning and apply it to their daily lives with the help of a weekly journal. But why not come along on a Friday night, starting from 4th September and enjoy the GB experience for yourself? We’d love to have you!